Olive is the reigning “old dog of the house.” I’ve had her a little over 9 years, but I have no idea how old she is. The rescue organization thought she was around two, my vet thought that because of her teeth that she was closer to 10. 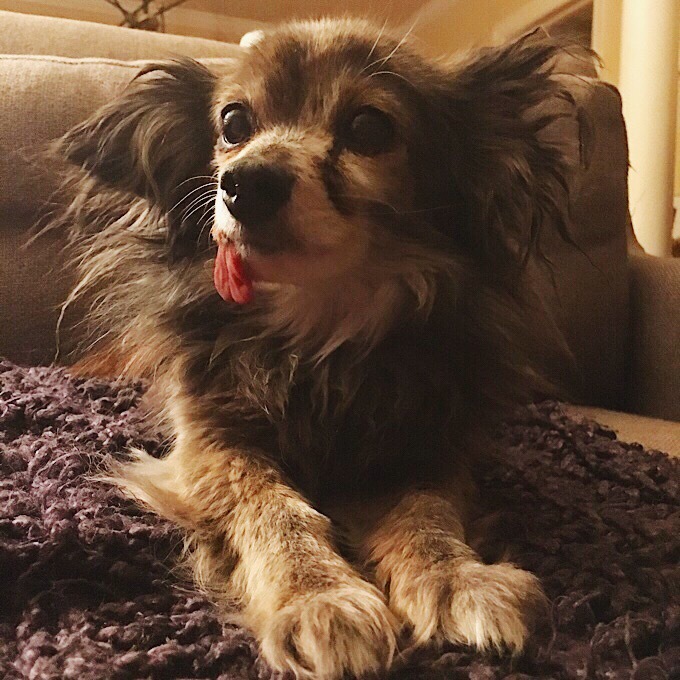 I’m pretty sure she’s not 19; she’s still pretty spry but has very few teeth so her tongue hangs out of her mouth. She had a bath this weekend but is due for a trim.